Since the last quarter of 2012, there have been talks that the American breakfast food chain IHOP will be opening in Manila. 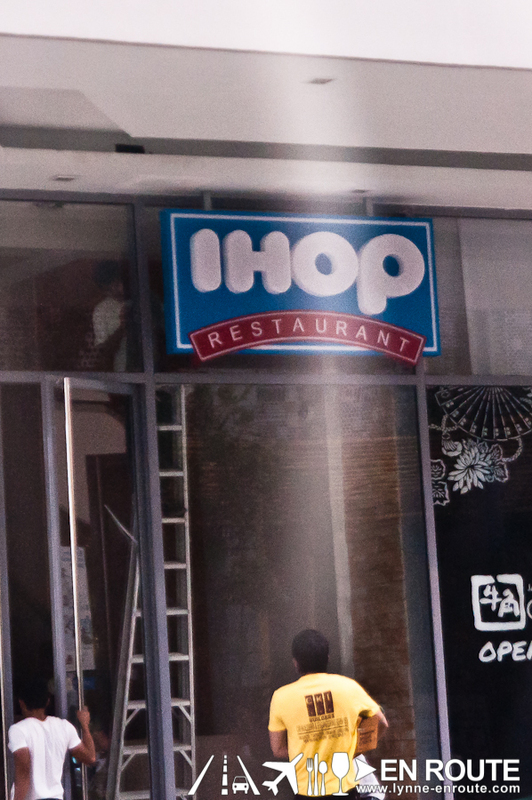 It just seems fitting that the first IHOP branch will be in the ever trendy Fort Bonifacio Global City area. And true enough, it is located in the Bonifacio High Street. The first IHOP in Manila is specifically located in the W Central Building. A good landmark is that it is beside the The Spa building, quite close to Agave and 2nd’s Restaurant. From a reliable source, the “soft opening” of IHOP in Manila is February 15, 2013. Perfect for those sweet, creamy dates. Slowly, but surely, the Philippines is becoming the Asian hub for American comfort food chains. So even if the Philippine kicked out the US bases in Clark and Subic, it seems like a different kind of American occupancy is happening in the Philippine restaurant scene. It will not be surprising if something like Denny’s and Chuck E. Cheese will follow suit. The population does not sound like they are protesting. Where is ihop located in bgc? It’s located in that building where the new CPK and PF Changs is, in Bonifacio High street. I’ll try to get the exact address, but those are the best landmarks I can think of so far. By all means 😀 ! Thanks for linking in and great site, too 😀 !